A.F.C.A. O.S.A. I.P.A.P. John's love for art began at a very early age, as he discovered the great satisfaction derived from his ability to draw and paint. He continued developing his artistic interests, and eventually became an art major at the highly acclaimed H.B. Beal Tech. in London, Ontario. Since that time John has worked and studied in Montreal, Chicago and Toronto. 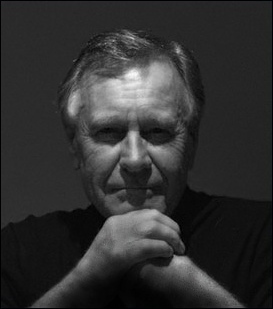 During a successful career as an architectural illustrator, his work was used in projects around the world. His seemingly loose yet eloquent technique is the result of years of experience in the disciplines of drawing, colour and composition. 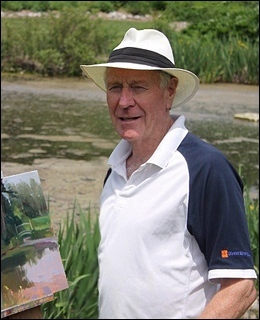 John currently divides his time between painting and sharing his artistic knowledge with others through his painting workshops. "The purest and most rewarding form of painting, in my opinion, is "en plein air" as it challenges all of the skills and discipline of the artist." ""There is a place for all forms of visual art, whether non-objective or representational. I have no desire to follow the popular decorative trends, but prefer to use the artistic skills that I have developed over a lifetime to bring an awareness of the beauty that surrounds us, and the environment that we take for granted. I paint only subjects and experiences that I have personally encountered, and strive to share the emotions that I feel about the subject as eloquently and creatively as possible. 35 years as free-lance architectural illustrator working with some of the world’s leading architectural firms on projects in Canada, United States, Germany, China, Thailand, Ukraine and the Middle East. The "Best of the 80's" Award for artwork done on the World Financial Center, New York. N.Y. Member of Arctic Quest 2006 Expedition - Participant in group shows at: Win Henstock Gallery, Oakville Ontario, The Linkway Gallery, Toronto, Gallery on the Grand, Waterloo, Arts & Letters Club, Toronto, Magic Door Gallery, Sunderland, Ontario.